Get an Eco-friendly Sleep with Bamboo Pillows! There are varied misconceptions about Bamboo pillows on the internet. Every website claims differently about the designed, shady marketing techniques, and formulation indicating bamboo pillow to be Eco-friendly and solution for all sleep issues. However, this is not entirely true since it totally depends upon the sleeping needs and there are a number of facts about Shredded Bamboo Pillow that everyone should know before buying. In fact, Bamboo pillow is a wonderful option for sleeping. It is interesting to know that bamboo grows tremendously fast and it is a sustainable material to use in the long term. Bamboo Pillows are very comfortable and is the best solution for sleeping better. It also depends on the filling whether a customer is able to sleep well or not on a bamboo pillow. Bamboo pillows might not be completely an environmental-friendly product. However, fillings like natural wool and organic kapok make bamboo pillows better for usage. Pillows can differ according to the sleeping position and sleeping needs. Therefore, choose the most suitable pillow wisely according to your health requirements. Better support: For greater support of your neck and head, Memory Foam Bamboo Pillow is the best option. The pillow covers are excellent. Bamboo is a very durable material that doesn’t get damaged that easily. Saves from Unhygienic Conditions: Pillow covers are an essential part of any pillow and it needs to be clean and tidy. It gives a lush appearance and boosts the beauty of the bedding as well. Flexible: Bamboo pillows combine the qualities of shredded foam and pressure relief point system. This makes it very simple to adjust circulation and sleep positions to offer a good night’s sleep. 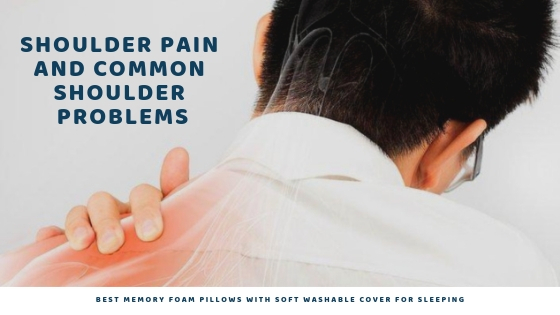 Antimicrobial: The bamboo memory foam pillow is the popular option due to its antimicrobial features and particularly for those with sensitive skin and allergies. It can also protect you against dust mites, fungus, bacteria and other allergies for a peaceful sleeping experience. Hypoallergenic: The Bamboo pillow is the design of organic materials which are naturally UV protective, hypoallergenic, biodegradable, anti-bacterial, green, cool flexible, breathable, soft, and has a lush design. Bamboo pillows ensure total safety and are absolutely not injurious to health. Breathable: Bamboo pillows are prepared with high-quality fiber that is breathable and super light. This is the perfect option for those with a breathing problem. Bamboo fiber is particularly light, delicate, and breathable, which is a perfect choice for hot summer nights and warm climates. If you are having a serious sleep issue or unable to sleep properly, you can visit our official website sleepsia.co and select the product that perfectly suits you. 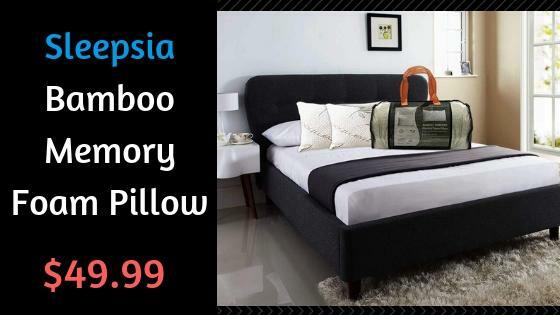 Sleepsia is a popular brand in US, where you receive the most reliable product with a hassle-free delivery process. You can also call at Sleepsia helpline number 1800-862-1084 at times of doubts and queries. Sleepsia also ensures you receive a premium product which is firm, comfortable, supportive and gives immense relaxation. ← What is the Best Orthopedic Pillow?